Here at Michiana Cleaners we know how to handle any cleaning situation we face. This includes industrial cleaning. Most people, if asked for an industrial cleaning definition would say it's cleaning factories. That's certainly a large part of it. However, it's not so much the where, it's the what. What will we be cleaning. If you're the manager of any facility that deals with hazardous materials you want us to do your cleaning for you. This is because our industrial cleaning services in Elkhart, IN (and throughout the Michiana region) are delivered by our highly trained competent crews who know what's what about cleaning. We take great pride here at Michiana Cleaners, in our high standards, exemplary work ethic and the fair prices we offer all our customers. This is the kind of service we've always offered and always will offer regardless of the type of cleaning we're involved with. Our residentall and commercial customers have come to expect this. So have our industrial cleaning customers. The difference is an industrial cleaning business m doesn't get as much 'word of mouth' advertising as a residential one might. Factories, warehouses, processing plants and other facilities might be long term customers, but, are often isolated. This means our Michiana Cleaning vehicles and crews won't be noticed as readily as they might be when we're cleaning a commercial facility; like an office building or box store. The truth is we want all the industrial cleaning services jobs we can get. Can you blame us? After all, we're Michiana Cleaning and we like to clean. That's what we do. That's how we provide for our families. If you're in charge of who does the cleaning at a factory, processing plant, warehouse shipping and receiving concern or any other industrial facility we invite you to take a look at what we have to offer. Our industrial plant cleaning services are unsurpassed by any of our competitors in Northern Indiana or Southern Michigan. You'll like our professional, courteous and timely communication and customer service habits from the first time you contact us. You'll like the fair prices we offer that are designed to be something you can live with happily and we can live on satisfactorily. Most of all you'll like our highly trained, highly motivated crews. They'll keep your facility clean according to any governmental or other standards you need to meet. We're prepared to deal with all kinds of unusual waste products. We can also include industrial equipment cleaning among the services that we offer. If this is something that you need help with let's discuss it together. 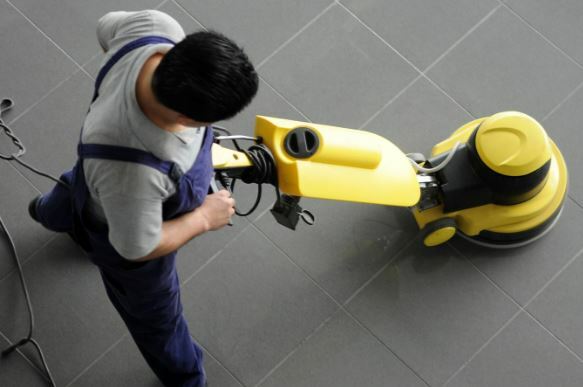 It may be best to set up a separate schedule for equipment cleaning and industrial janitorial services. You'll make the final decision on that of course, based on your businesses' own particular needs and requirements. We think we're at the top of the list of industrial cleaning companies in Elkhart. Come look at testimonials from satisfied customers if you want more than just our say so.